What is the Attorney General Rhode Island? 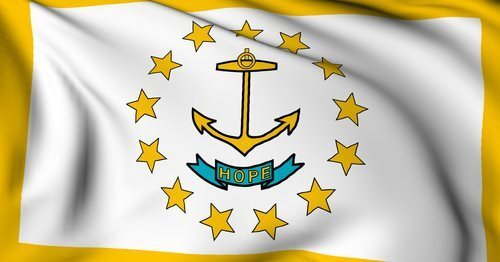 The Rhode Island Attorney General is a legal and administrative position undertaken by the appointed individual serving as the primary attorney – or lawyer – on behalf of the State of Rhode Island. The Attorney General Rhode Island acts as the chief legal advisor in the state. The position is filled via a general election every four years. In addition to the role of chief legal advisor, the Rhode Island Attorney General will also oversee the State Department of Law. What does the Attorney General of Rhode Island do? The Rhode Island Attorney General is the chief legal officer of the state. Often referred to as the “People’s Lawyer”, the attorney general of Rhode Island advocates on behalf of the state’s citizens. Furthermore, the Rhode Island Attorney General will work with members of the general assembly to push for the creation of new laws. To ensure that the state’s court system is formally respecting the already established laws, the Attorney General of Rhode Island will travel throughout the state to affirm that the courts are adhering to such policies and laws. The Attorney General Rhode Island is the chief legal and law enforcement officer in the state. The individual is responsible for the prosecution of offenses to the state’s constitution and prescribed in Rhode Island’s various statutes. The officer of Attorney General was officially created in 1650. Roger Williams obtained a charter from the English Parliament to initiate the creation of the colony’s chief legal advisor. The towns of Warwick and Providence elected the chief officer under the authority of the Parliamentary Patent of 1643 established by Williams. In 1647, the towns of Portsmouth, Providence, Warwick and Newport formed a united colony under this patent. In May of 1650, the offices of Attorney General and General Solicitor were created. Democrat Peter Kilmartin is the current Rhode Island Attorney General. Kilmartin assumed office in 2011 after fellow Democrat, Patrick Lynch’s 8-year term (2003-2011) was exhausted. The Rhode Island Attorney General’s Office is located at 150 South Main Street in Providence, Rhode Island 02903. The Office may be reached via telephone at (401)-274-4400.